I blame Phoebe Philo for these. 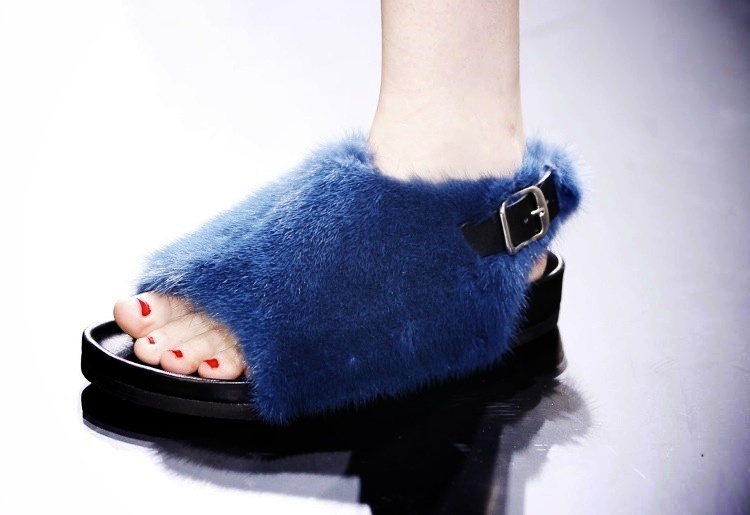 I think it's kind of liberating to have a sling back open toe sandal in fur. Just for the fact of knowing anything like this even exists. I am weirdly attracted to these and cannot stop thinking of all the possible styling options boxy fur flats might provide. No longer able to stay ignorant. See them in black over here. Interesting, I don't even think it exists, too. Not gonna lie, I kind of dig it... A lot. These shoes are so funny, but I actually couldn't think of any which would look better with this collection. Damn, Pheobe, how do you do that?